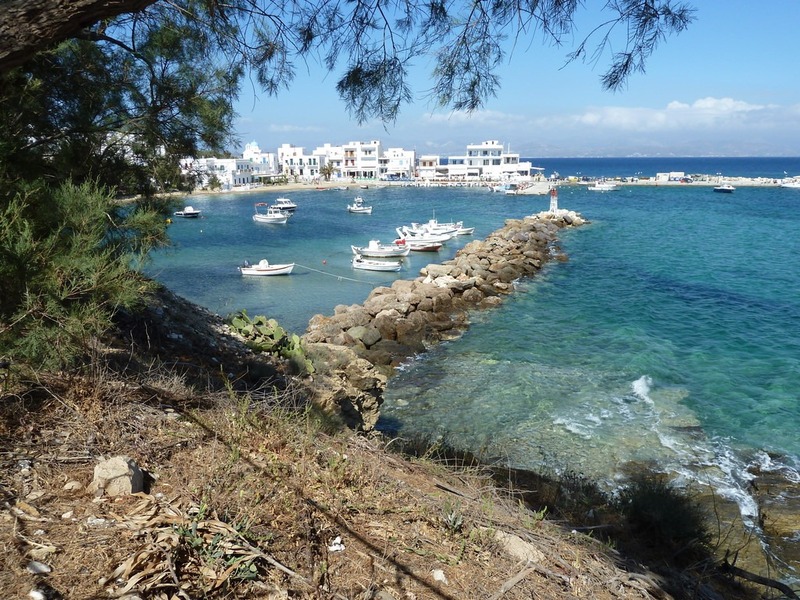 The district from Marpissa to Drios is maybe the most beautiful in Paros , with picturesque villages and fishing ports, exquisite sandy beaches, interesting sights, warm island hospitality and modern tourist facilities. The scenic coastal settlement of Piso Livadi, a coastal summer and tourist resort, is situated at a distance of 18 kilometers southeastern to the town of Paros (Paroikia), at the eastern coast of the island. Piso Livadi, a picturesque resort with many facilities and a very clean sandy beach with trees, where you will enjoy fresh fish. The small port of Piso Livadi is linked by boats to Naxos , Mykonos , Santorini and other islands, offering the opportunity of various short excursions and cruises. South of Piso Livadi one can found many superb beaches as the Golden Beach, considered as one of the best spots in the Mediterranean for slalom windsurfing. The big religious festivity of this little resort is the celebration of the Ascension Day, during which many happenings are organized and sea food and wine are served to the participants. 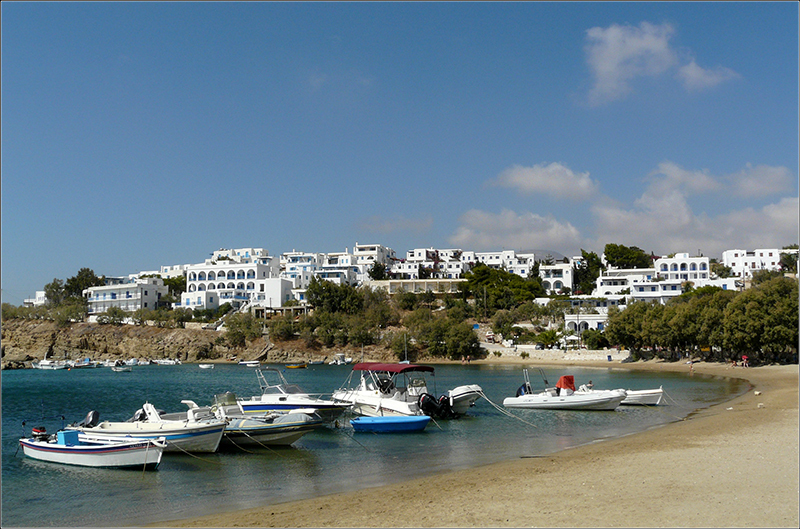 The idyllic port it is protected to the north east from Paros marble blocks and offers an ideal anchorage for fishing boats and small yachts. Along the promenade there are several cafes and restaurants. 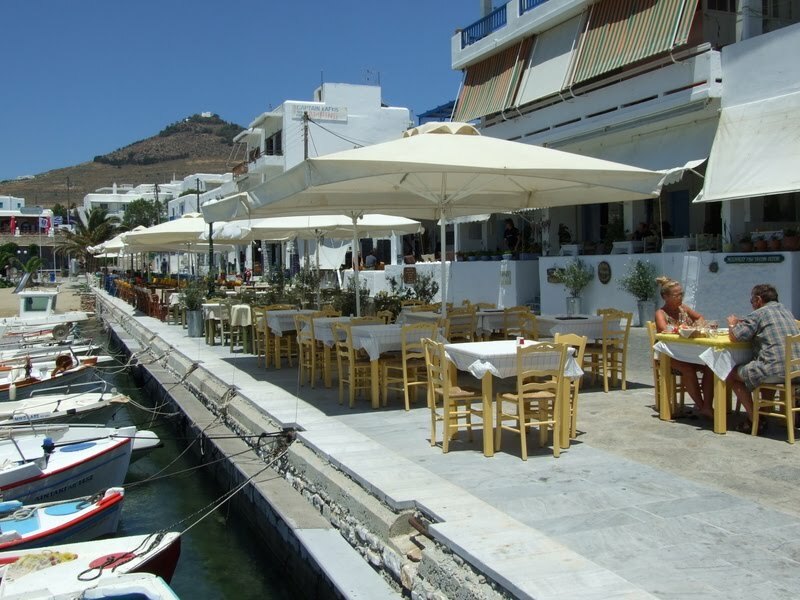 Nice cafe’s where you can enjoy the panoramic view of the port, the village and the beach. Behind the relatively small but pretty sandy beach of Piso Livadi there is public parking and a bus stop serving the rest of the island. Nearby, the long beach of Logaras, awarded with a blue flag, is ideal for swimming, snorkeling, spear-fishing and other water sports, with every amenity for your stay.